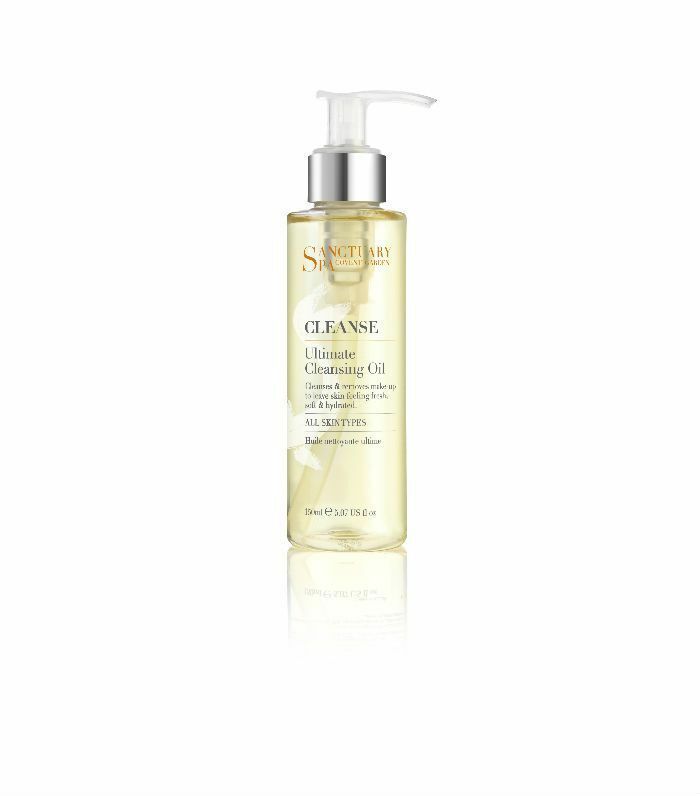 Thought micellar waters were the latest cult cleansers? Not so. It’s all about cleansing oils that dissolve grime and melt makeup on contact, allowing any ickiness to fizzle away fast. And get this—Japanese brand DHC’s version is so darn popular that one sells every 10 seconds. That’s proof enough for us it’s pretty darn good. Still not convinced that you should swap your beloved cleanser or low-maintenance face wipes for an oil-based option? 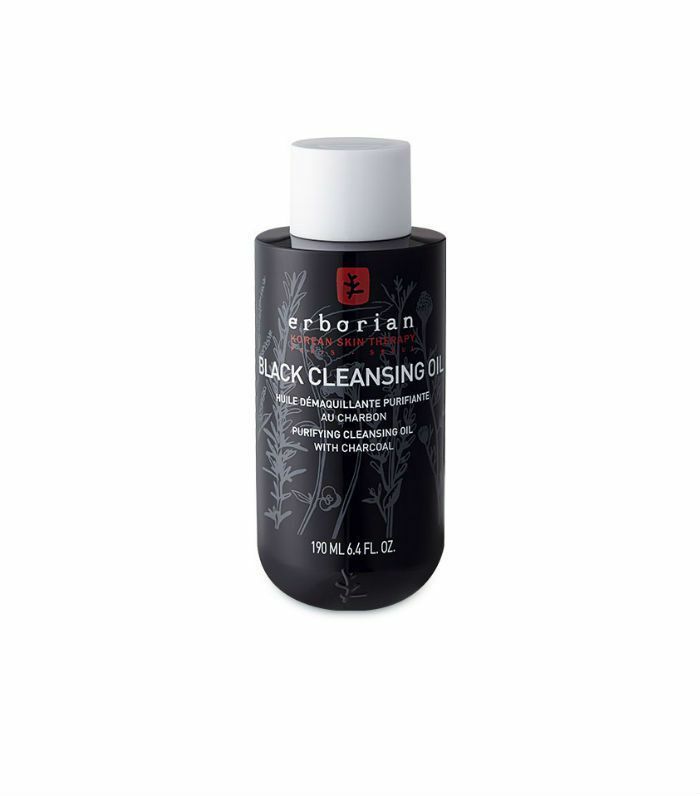 Well, keep scrolling as we reveal everything you need to know about this cult cleanser, how to use it, plus five more that we rate. For starters, these oils do a stellar job at removing makeup, even stuck-fast eyeliner and vampy red lips. They’re also good at getting rid of excess oil from the skin. “Remember oil likes oil and can mingle with your own sebum to help remove it from the surface of your skin,” says facialist Julia Hart. The textural pleasures they bring to your routine are second to none, too. Gliding across your skin like Christopher Dean on ice, you’ll find yourself indulging in a moment of face massage and manipulation without even realising it. Not only does process boost your circulation, but it also gets your dermis ready for the products to follow. It also means less friction between cloth and cleanser, which is great if you suffer from skin sensitivities and flare-ups. There’s no right or wrong way to administer your oils, but if you want to go pro, facialist Abigail James recommends a thorough forehead-to-décolletage movement. “Don’t be afraid to go over your eyes and lashes, as the oil is all-natural, so it won’t irritate them. Then work your brows like a windscreen wiper to take off the makeup and nourish the hairs. Bring the oil down your neck, but [make sure to] remove thoroughly, or you could end up with an accumulation, which could lead to pimples,” she warns. It’s up to you whether you add water. To be applied on dry skin, most oils turn into a milky emulsion when you splash on some H2O, but if you prefer, you can swipe the excess away with damp or dry cotton pads or microfibre mitts if you want to go pro like Hart. If you opt for the latter method, you might also want to do a double cleanse to ensure all the residue has been mopped up before you go in with your serums and moisturiser. Saying that, your skin will probably feel so lovely from the lubrication, you might be tempted to miss the moisturiser altogether. That’s because these cleansers tend to be formulated with natural plant-pressed oils, so they leave complexions feeling conditioned and pillowy soft. The extra pat on the back from the beauty buffs? A lot of them have pump dispensers, which means less mess and a longer-lasting product. Read on to discover the oils we’re getting slippy with. Olive oil–based, this natural no-nonsense wonder comes fresh from Japan, where the cleansing-obsessed clientele from the East has been using oils for centuries. Respect. 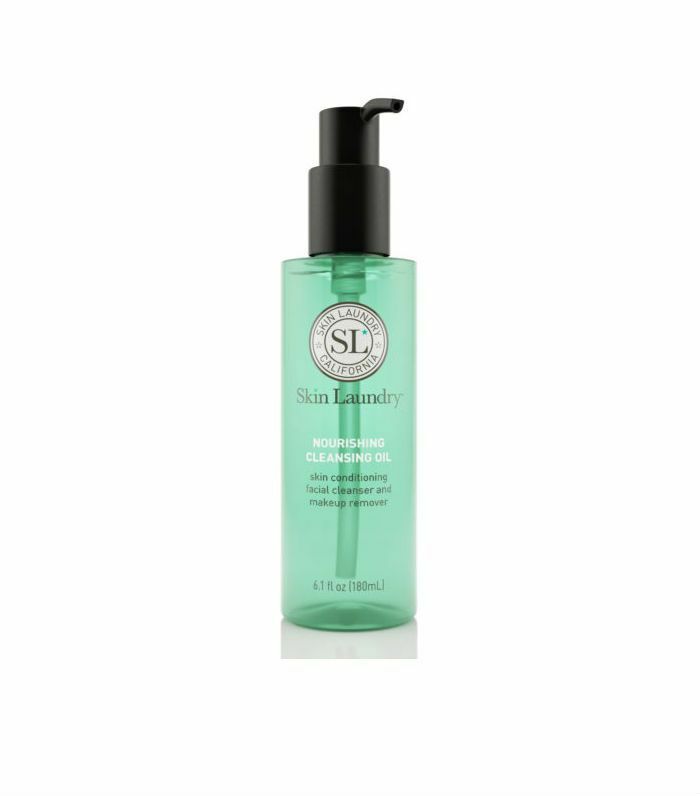 Alongside macadamia, jojoba and olive oil, this contains tea tree, which means as well as helping sensitive skins, combination complexions can get in on the antibacterial action, too. Besides the black novelty factor, which is down to the toxin-loving charcoal, there’s Tiger grass, knotweed extract, skullcap, and liquorice root—it’s like the pirate’s treasure chest of botanicals. Just rinse the sink afterwards, as well as your skin. It’s pricey, but when you’re getting farm-fresh ingredients and a skin barrier–strengthening blend of antioxidants that feed your skin as well as clean it, you know you’re onto a good thing. You only need say the words Midnight Recovery and we’re on board. 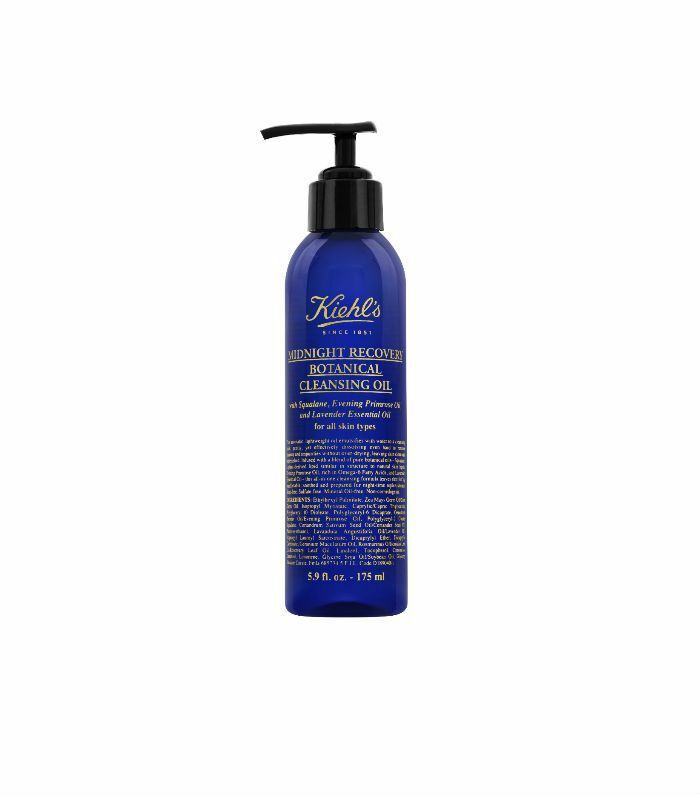 Featuring Kiehl’s cult blend of squalane (from olives), evening primrose oil and lavender essential oil, expect moisturised, softer skin just from taking your makeup off. Hungry for some more natural products? Here are some high-end botanicals that will get you green-fingered and fresh-faced.